Pockets of old-growth crabapple trees drip with lichen and moss. 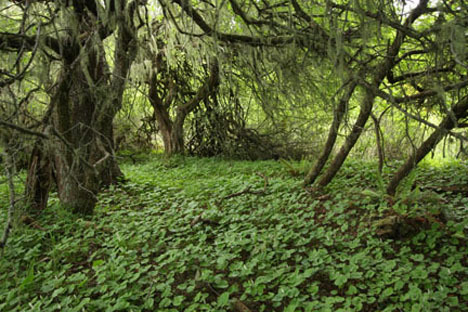 Neacoxie Forest is one of NCLC’s most special properties. A wide swath of coastal prairie transitions into an ancient Sitka spruce forest with pockets of old-growth crabapple trees that drip with lichen and moss. The forest borders a section of Neacoxie Creek, and patches of skunk cabbage thrive in the vibrant riparian area. A favorite haunt of the local elk herd, Neacoxie Forest also provides habitat for both year-round and migratory birds and waterfowl.